Here is an A-1 specimen of a somewhat hard to find bi-colored (Ivory Plaskon and Black Bakelite) Emerson "Clockette" with NO repairs nor cracks nor scratches; near perfect case. The case is actually three pieces. Plaskon front, Bakelite back and top. Even the little red lighted jewel works. Original factory knobs. It also has the factory installed line resistance cord still intact. Plays very well. 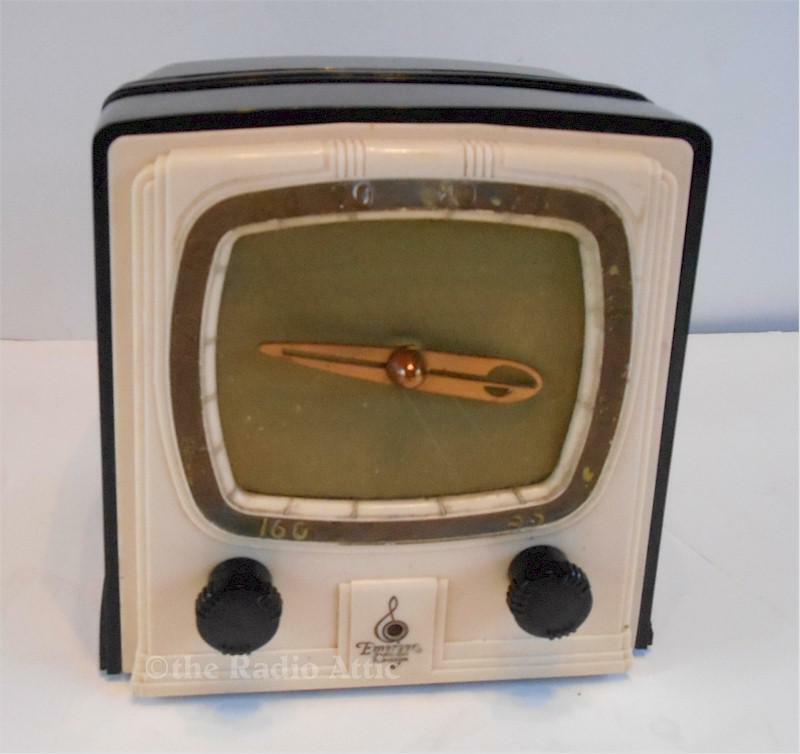 Stein Plastic Radios lists for $400. 7-1/2"W x 7-1/2"H x 5-1/2"D and only weighs approx. 5 lbs. You are visitor number 594 to this page.